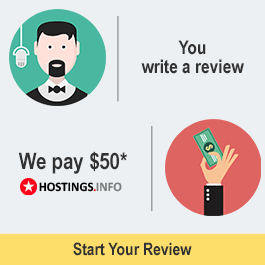 What is written about in reviews of FairyHosting.com most often? I'm haven't been using them long, I don't have any specific complaints. The main disadvantage is that the payment system is a little confusing and there is a lack of CMS installers. I've been a client of FairyHosting for more than a year. I host more than twenty sites there. The hosting is good enough for the price. Minor problems appear (but not often) and the support always reacts quickly and without delays. I give them an overall score of 4+. The biggest problem I had probably wasn't the hoster's fault - there was a massive ddos attack. Sites didn't fail, they just loaded very slowly - support solved the problem within 24 hours. I'll wrap it up by saying the hosting is very good (I'm talking about virtual hosting) for projects with an average load (up to 1000 unique visitors per day). 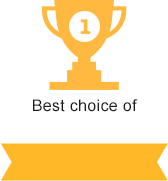 If the load is more, you should choose their VPS servers (the prices are also really nice by the way). Hosting is cheap, but the connection is disrupted at least twice a month, sometimes for even up to 12 hours!! We changed to CGI, and lost the CMS menu (joomla 2.5). Then they wrote back to tell us that fast cgi works. Well sure it works, except the files can't be edited and the menu won't appear! Here's some honest feedback for you! I don't recommend them at all!